There are two uses of the word liberalism that are heartbreaking, even disgusting. The first occurs when a self-described liberal pushes government power as the solution to all our economic and social woes. Government is not liberal! Government is the robber, the coercer, the taser, the jailer! Another is when a self-described conservative condemns liberalism as the cancer that is killing society. What? Thomas Jefferson was a liberal. So was John Locke. So was Alexis de Tocqueville. Their ideas built the world we love. Most of all, there was Ludwig von Mises, who proudly called himself a liberal. He was the 20th century’s great defender of capitalism and the free society. He decided to settle the issue about what is liberalism once at for all. Liberalism is Ludwig von Mises’s classic statement in defense of a free society, one of the last statements of the old liberal school and a text from which we can continue to learn. It has been the conscience of a global movement for liberty for 80 years. 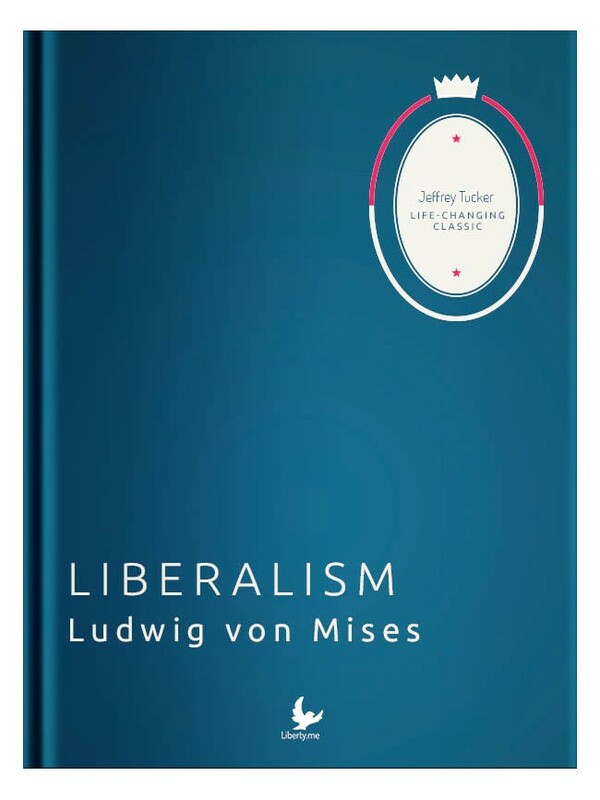 Liberalism first appeared in 1927 as a follow-up to both Mises’s devastating 1922 book showing that socialism would fail (Economic Calculation in the Socialist Commonwealth) and his 1926 book criticizing interventionism. It was written to address the burning question: If not socialism, and if not fascism or interventionism, what form of social arrangement is most conducive to human flourishing? Mises’s answer, summed up in the title, is liberalism. Even in these times, Mises was aware that the meaning of liberalism had changed from its common use in the 19th century. He had to clarify that his understanding not only included commercial freedom but was rooted in it. Without economic freedom, no other form of freedom can have material meaning. But Mises did not accept the idea that the term had been merely stolen from the proponents of free markets. He thought it had never been worked out scientifically, and therefore the theory of liberalism became vulnerable to political manipulation. The program of liberalism, therefore, if condensed into a single word, would have to read: property, that is, private ownership of the means of production.… All the other demands of liberalism result from this fundamental demand. But there are other insights too. He demonstrates that the order inherent in a free society stems not from a mystical source but from the capacity of the price system to provide a means of rational coordination between independent actors. This rational pursuit of individual interest leads to the division of labor, the development of the money economy, the extended order of production, and the coordinative signals of interest and profit. He argues that it is within man’s rational capacity to understand the reasons for the prosperity and orderliness of freedom. He further shows that political decentralization and secession are the best means to peace and political liberty. As for religion, he recommends the complete separation of church and state, and a cultural conviction that favors tolerance. On immigration, he favors the freedom of movement. On education, state involvement must end — completely. In some ways, this is the most political of Mises’s treatises, and also one of the most inspiring books ever written on the idea of liberty. It remains a book that can set the world on fire for freedom, which is probably why it has been translated into more than a dozen languages. Liberalism is no religion, no worldview, no party of special interests. It is no religion because it demands neither faith nor devotion, because there is nothing mystical about it, and because it has no dogmas. It is no worldview because it does not try to explain the cosmos, and because it says nothing and does not seek to say anything about the meaning and purpose of human existence. It is no party of special interests because it does not provide or seek to provide any special advantage whatsoever to any individual or any group. It is something entirely different. It is an ideology, a doctrine of the mutual relationship among the members of society and, at the same time, the application of this doctrine to the conduct of men in actual society. It promises nothing that exceeds what can be accomplished in society and through society. It seeks to give men only one thing: the peaceful, undisturbed development of material well-being for all, in order thereby to shield them from the external causes of pain and suffering as far as it lies within the power of social institutions to do so at all. To diminish suffering, to increase happiness: That is its aim. No sect and no political party has believed that it could afford to forgo advancing its cause by appealing to men’s senses. Rhetorical bombast, music and song resound, banners wave, flowers and colors serve as symbols and the leaders seek to attach their followers to their own person. Liberalism has nothing to do with all this. It has no party flower and no party color, no party song and no party idols, no symbols and no slogans. It has the substance and the arguments. These must lead it to victory. This is more than a theory; it is a proposed strategy for achieving a dream. It is one that should attract anyone who is truly serious about making a contribution to the cause of freedom. In the thicket of political argument, in the confusing world of political lies and rhetoric, I find myself returning to this calm and brilliant book. I’ve probably read it through a dozen times. I always find something new, something inspiring, something that provides me new intellectual guidance. Mises saw what was happening in Europe and what could happen in the United States. He saw the dangers before they truly arrived. He set out to frame it all up and make a statement for the ages. He accomplished this. This book is a singular statement that might not ever be displaced.